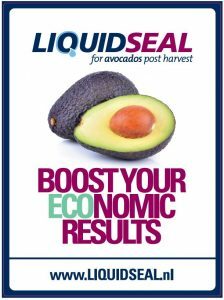 Can Liquidseal be used on organic fruit? Yes, our products can also be used on organic fruit. Currently we have products for different types of tropical fruit with a hard shell. Is it harmful for me and/or my employees to come into contact with Liquidseal? No, our products are not harmful at any step in the chain whatsoever. Note: when spraying Liquidseal, the use of gloves and a paint mask is recommended. Wearing an apron will prevent clothing from becoming soiled. No mask is necessary when dipping fruit, as Liquidseal is not volatile. Use of a paint mask is recommended during spraying; a high concentration of Liquidseal may build up in spaces that are poorly/inadequately ventilated. Will the fruit be hermetically sealed? 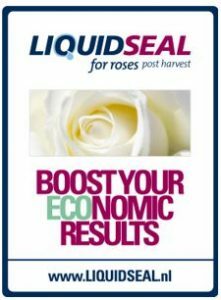 No, Liquidseal affects the evaporation of moisture from the fruit: this would be impossible if the fruit were to be hermetically sealed. Can I use Liquidseal on any kind of fruit? No. Until now, the product is only suitable for use on fruit with a hard shell. No, none of our products are intended for consumption: they are intended to serve as packaging for the fruit. Will Liquidseal leave unwanted by-products behind on my food? No, our products have been subjected to extensive testing on every kind of food product with which they will be used; the results of this testing show no unwanted residues left behind on the fruit. Is Liquidseal soluble in water, and can it be removed using water only? No, Liquidseal is technically insoluble – although it can be removed with just water. Once Liquidseal has been applied to a product (and allowed to dry), it can be removed using water at a temperature of 40 – 60 degrees Celsius. Before the drying period, Liquidseal can be rinsed off with cold water. Why is Liquidseal not a food additive or active material? Liquidseal products are never part of the food; rather, they surround the food with a ‘packaging’ that is not intended for consumption. In addition, Liquidseal is a passive substance rather than an active one; it does not affect the food directly. Is Liquidseal only used on fruit with a hard shell? Yes, Liquidseal can only be used on those fruits of which the shell is not eaten. Does Liquidseal contain active substances? No, our products do not contain any active substances. It is, however, possible to use Liquidseal in combination with active substances. No, Liquidseal does not contain harmful chemicals. What effect does Liquidseal on the fruit with regard to ULO (Ultra Low Oxygen)? No direct adverse reaction to be expected. What is the pH level of Liquidseal? The pH is between 5.6 and 6.9. Does the pH of Liquidseal have a positive effect on the use of added chemicals? Yes. Various chemicals are poorly soluble when pH levels are high (> 7). Liquidseal has a lower pH level, making it easier to dissolve chemicals in the Liquidseal. Is Liquidseal a biocide and/or preservative? No, our products are not biocidal agents. The protective effect of Liquidseal products does not result from active, technological or biocidal effects created by the product. With what should I compare Liquidseal? Our product can best be compared to packaging applied around the fruit. Is Liquidseal a type of wax? No, Liquidseal is not a wax. Note: Liquidseal can be used on fruit as a wax substitute. Under what conditions should I store Liquidseal? It is best to store our jerrycans in a cool, dark place. What is the shelf life of Liquidseal? When stored as recommended, our products have a shelf life of one year. Note: if you plan to combine our product with a biocide, we recommend that you use it immediately after mixing. Can Liquidseal be used in a sprayer? Yes, although we recommend rinsing the sprayer and tubing thoroughly with warm water after use. What should I do with Liquidseal residue? After dipping, and certainly in case of frequent or long-term use, all surfaces that have come into contact with Liquidseal should be given a thorough cleaning. First flush the area with water, then rinse, making sure all product is washed away. Follow up with an intensive cleaning using disinfectant. Can I also use Liquidseal prior to harvesting? No, our products have been developed for use post-harvest. You may consult us about the possibilities for use prior to harvesting, if you wish. Has Liquidseal been approved throughout Europe and by the FDA in the United States? Yes, all Liquidseal Fruits products are EU and FDA compliant. In which countries is Liquidseal available? Liquidseal is EU and FDA compliant and thus available in all countries that comply with these authorities. Many local registration processes have also been completed: if your country is not among their number, it may be possible to arrange this in consultation. What legislation applies to Liquidseal products? Our products are subject to the Food Contact Materials (FCMs) legislation (1935/2004 and 10/2011) of the EU, as well as the Indirect Food Additive/Food Contact Material legislation of the FDA. How do I order Liquidseal? Orders can be placed by phone (+31 (0)71 3014314) or by e-mail at info@liquidseal.nl.